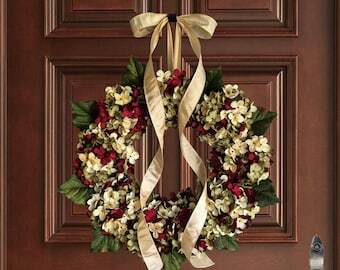 A wreath you will enjoy each time you come home. 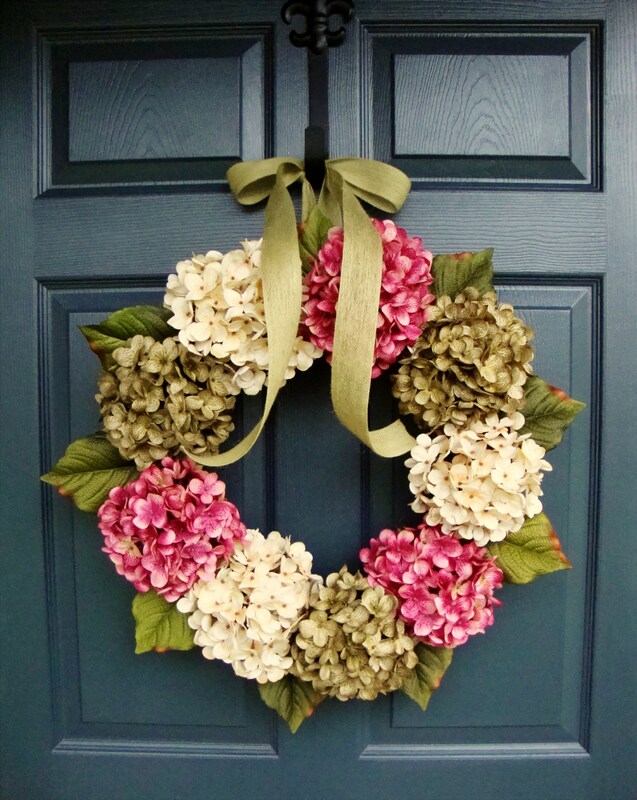 This Hydrangea Front Door Wreath is an extraordinary front door decoration. Handmade with premium, full-bodied, artificial hydrangea flowers accompanied with green hydrangea leaves and a tight-weave fine celery green burlap bow on a grapevine wreath base. The wreath is just beautiful !! I hung it on an inside door in my foyer. 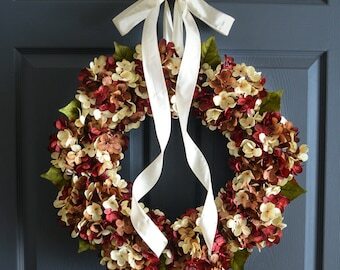 The flowers are of great quality and rich colors & the green ribbon complimented the wreath nicely. The wreath and hanger shipped on time.